You would love to use OpenOffice2.0 but the native NeoOffice is too slow and the X11 app has too ugly fonts for your taste? Well, at least for the latter there is a small workaround :) All that is needed are some additional TTFs. Since OpenOffice.org 2.0.app uses the same foundations as the Linux versions, more or less the same tricks also apply on MacOSX. So first of all: Where do we get some fonts? Probably the easiest way would be to get the fonts from MacOSX itself, but since X11 doesn’t support the native Mac fonts, we will have to do some conversion magic here. 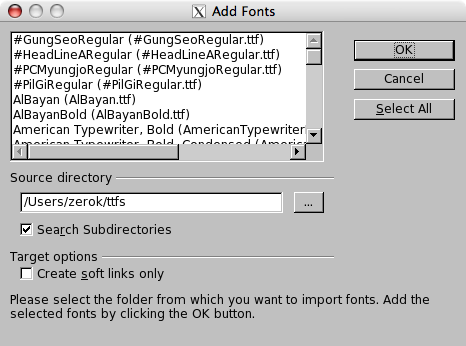 There you can simply go to your ttfs folder and add your TrueType fonts. 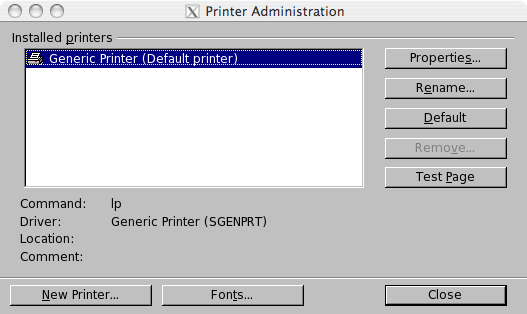 After restarting OpenOffice you should have some more fonts available.